After a LOT of improvements and patience the New version of Syn Virtual Assistant will be out in April. The above image is enough in its entirety to reflect the massive outlook change and the Acquiring of Extended licenses for our New Madonna Avatar. And a totally new Modern UI Graphical Interface. We always wanted to make Madonna Avatar look beautiful but the Graphic Engine was the main hurdle. So we decided to customize and use a New Graphic Engine. The effect of which is purely visible. We thank you for your suggestions you made in our Forum ( our Forum community has grown huge since the release of Prototype 6.0 ). SVA Prototype 8.0 has been fully optimized for both Windows 7 and 8. Previously majority of Beta testings were done on Windows 7 but from Prototype 8.0 onwards all supported platforms and hardware will be used. Windows 7 users will love the whole new interface – Sleek design, error stabilization ( in case something goes wrong ), Faster execution of responses and Better re-written code. Windows 8 users will enjoy all of the above and yes we did some major bug fixing just for Windows 8 users. More over 4 types of docking have been added. The Top mode is especially added for Windows 8 users. Details regarding Dock modes will be made available soon. Responses have been improved. Syn Engine is a Functional Natural Language Engine. So for the Engine response generation is just an optional part of function execution. But previously giving a command to SVA , if failed would result in a random answer. So henceforth if a command fails to execute for some reason. SVA will inform the situation to the user (you). User Manual will now be available offline to all users. This has been made because we think it might save users a lot of time instead of searching online for functionalities. Users can anytime use the command “what can I say” or “user manual” and the user manual will be opened. Apart from that whenever you install some Store items using Syn Package Installer you may* check the user manual for any extra documentation as the User Manual has been designed to be expandable so that whenever a new item is added users don’t have to scavenge the internet for information on usage. Prototype 8.0 runs on Real Syn Engine 2.0. which gives a lot of power when it comes to Natural Language Processing. We will also be making a free version of Syn Engine available to any developer who wishes to add NLP features to his/her application. Why not release it now You Ask ? . Well we are busy creating the future platform . From this Blog to Improved Forums support and as we promised Developer Tutorials Section in the Forum is being created as well. As you may have noticed the Developer Section was locked on release or Prototype 7 – This was to make sure that no hard work is done on the Engine as we knew that for the sake of improved research work we would have to make some extremely Incompatible changes to Syn Engine. SVA is being tested on Windows 8. 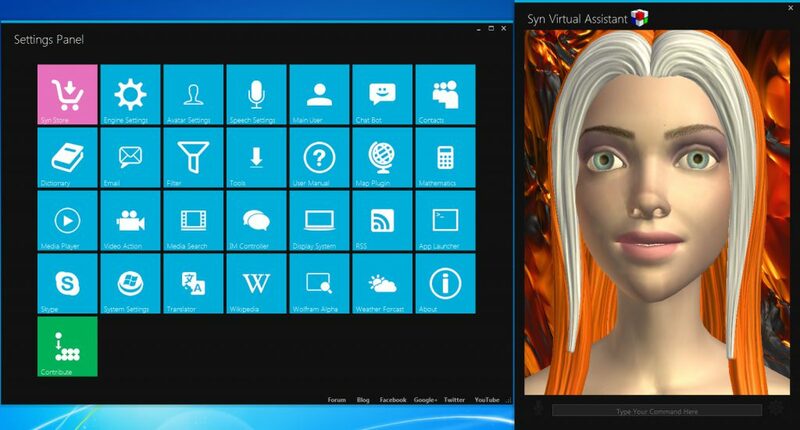 Though IMHO Windows 8 has not been an easy platform for the creation of a complex Virtual Assistant Technology such as SVA. We have also setup a new Portal to get all Syn related stuffs together and we call it Syn Store. You will get to download majority of the items for free or for a small donation. Donations will henceforth drive us to make better iterations of our Products. SVA will ship with a few Avatars ( just to reduce the distribution size of the package). 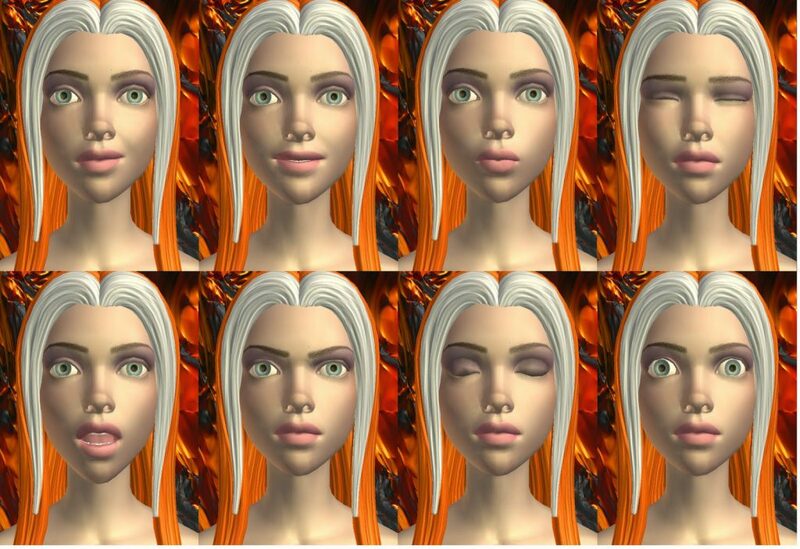 A lot of avatars will be made available in Syn Store. Unofficial Plugins will also made available there. From Prototype 8.0 onwards we plan to involve developers world wide to be part of Syn Project. We might create Volunteers section in the Forum and might list the number of tasks needed to be accomplished. All developers and volunteers who take part will be credited by Syn in our Official credits page ( which will be accessible through any of our Product(s). Prototype 8.0 onwards SVA will be driven by the crowd. 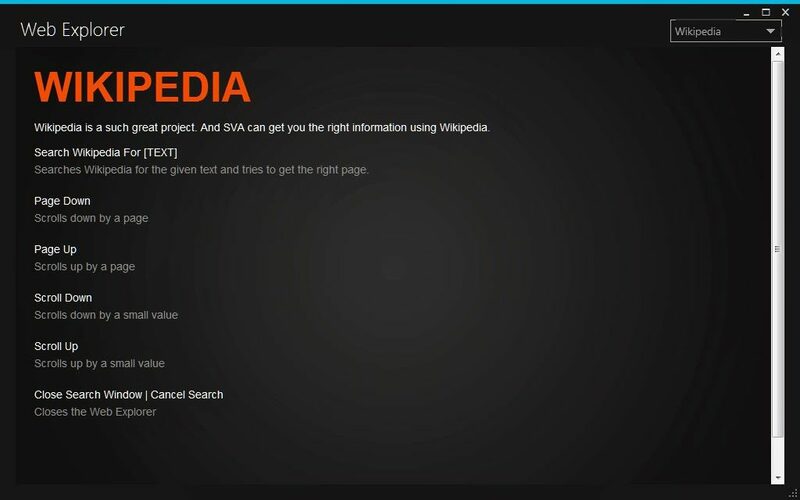 SVA along with Syn Engine would make major changes and bring about great possibilities if available on different platforms. We are always being asked to Port SVA and Syn Engine to different platforms. But we believe – instead of making SVA on different platforms why not use a common architecture that would help us port SVA easily to different platforms thereby opening the doors for AI Developers worldwide. Moreover we envision SVA as an open project. We will soon be releasing very helpful example codes on GitHub ( but no promises yet ). Prototype 8.0 opens majority of existing Engine APIs to developers who wish to add in their features or create complex Plugins. Developers will get access to our Forum where you will find all new tutorials written just for you. Additionally we wrote Prototype 8.0 with Developers in mind and so we changed all Multi-Threaded features to Single Threaded Mode though it sounds like a major change developers will understand how easy it is now to create codes that require User Interface access. In just 1 Year time we have rushed from Prototype 6.0 – > 6.25 – > 7.0 and now 8.0 . This is because we want the users and developers to have the best of the best that currently exists in the market and that too with freedom.